This entry was posted on June 28, 2016, 8:26 PM and is filed under Movies. You can follow any responses to this entry through RSS 2.0. You can leave a response, or trackback from your own site. 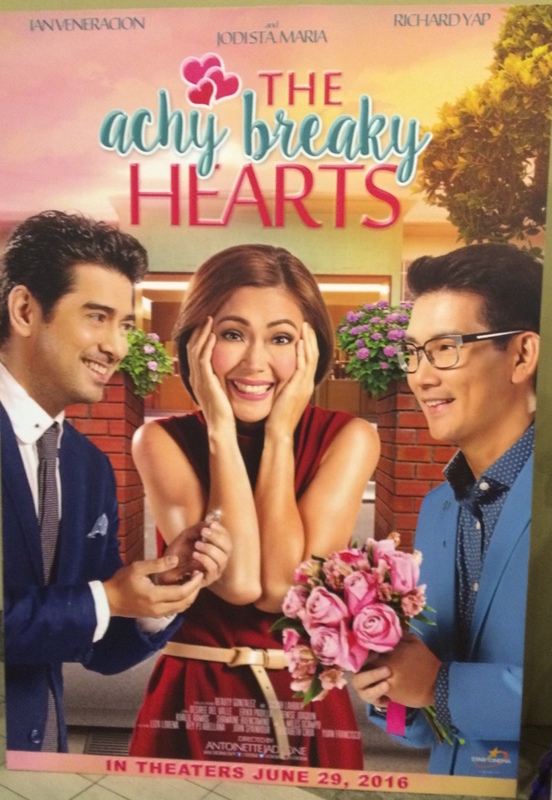 will be watching it tomorrow….was invited….was given a free tix for the block screening….cant wait to watch it….and meet other BCWMH adiks in person…hope to see u guys…GOD bless! Hello Ms. Myrna! I hope you got to watch it. I did today and it was great seeing JSM and RY together again on screen! 🙂 I hope next time, a new teleserye for them! Hi Antigone….opkors nman…i watched it…and like everyone else…hoping for a next project for them! I admit mas cute ang mata ni Ian V. at very expressive…pero ewan ko ba….kahit buset na buset ako kay Melody…i still wish for JoChard team up…d maka move on till now hehe! Team Chinoy (Frank).. Team Chinggay can be your future writings theme or names in your ff. Fren Yan….miss u…tom i will be seeing some adiks like us….sana me mamit ako in person na writers hehe….one of our fave authors din ang nagbigay ng free tix for the block screening hehe!! cant wait and this is my first time to attend a block screening….super protective mga lalaki sa buhay ko d ako makalabas sa mga meet ups hehe…God bless!!! Fren Myrna.. .bigla akong naiinggit sayo, now you have the chance to see the movie. Enjoy and take care. Thank you…hope it doesnt rain heavily tom kc c Mr. P ko panay parinig kesya ang mga ulan nowasdays madami naistranded…and so on hahahaha…..balak ata ako pigilan? kaya i pray it wont rain tom!